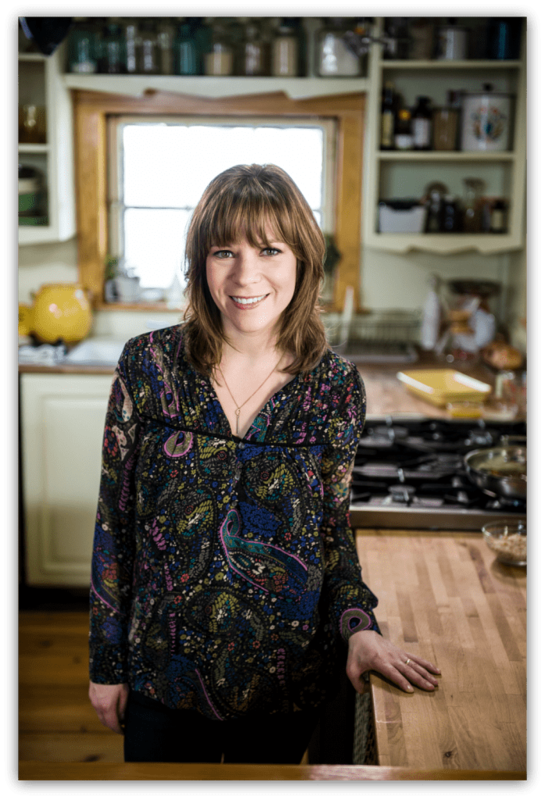 Amy Thielen is a chef, author, and host of Food Network’s Heartland Table. She is also a native Minnesotan, which, in my opinion, is her real claim to fame. Hey, we small-town girls gotta stick together! I had the chance to talk with Amy this week to promote the 2nd season of Heartland Table, which begins today! I’m not getting paid to do this promotion; I wanted to because Amy’s a sweetie. Plus, before the interview, I thought I knew who she was. Now I’m thinking I know who she is: a funny, smart and down-to-earth mom. Note: She’s also an amazing cook. More on that later. What was it like to go from being an New York City line cook to TV personality? Initially, I wanted to stay in New York and open a restaurant. Then I got pregnant and things changed. I didn’t want to be gone all the time. I worked on my cookbook; I started a blog; I wrote a column for the Minneapolis paper. It was all very intermittent. What’s it like to cook for your 6-year-old? It’s hard. He’s got a sensitive, kid’s palate. I finally gave up and just make him something simple, like bacon mac-n-cheese or spaghetti & meatballs. His favorite is potato soup. He calls it “potato stew” and just loves it. When it’s not covered by six-foot snow drifts, what do you got in growing in your garden? Basically everything but corn! My garden’s big, probably about 50 x 50 feet. We’ve got ten raised beds and a greenhouse, where I start my seedlings in the spring. I grow four kinds of tomatoes, four kinds of beans…anything and everything, really, except for the sweet corn which takes up too much room. I can get that at the farmers’ market. Growing up, what were your favorite cookbooks? Oh, I have so many favorite cookbooks. Madeleine Kamman’s The New Making of a Cook made a real impression on me in my early 20s, and it’s kind of a bible of cooking technique. She was a frenchwoman who moved to the US in the ’60s. A cooking teacher, restauranteur, the host of a television show on PBS, and she possessed an amazing amount of knowledge–and her delivery was a little bossy, too, which I sort of like. She cared. Any advice for putting some “sunshine” on the table? Oh boy, we do need a dose of sunshine. I cannot wait to cook on the grill! I don’t care if I have to shovel it out, I want to grill some steaks on the fire, and serve them with chimichurri, that garlicky mix of herbs, vinegar, and olive oil. Anything that stuff touches turns instantly to summer. With that, all you really need are grilled vegetables, which this time of year of course includes asparagus. This winter’s been hard on everyone! It’s been, like, “inside day” for the past six months. 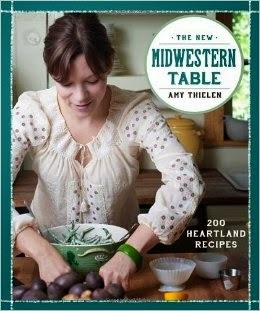 You can preview Amy’s cookbook here and of course, check out the new season of Heartland Table! That is, assuming you’ve got cable, of course. How fun!! I only watch TV–usually the Food Network or House Hunters…in the evenings, which is why I've never heard of this show!! I'm going to go DVR it right now! Thanks for letting us know Mags! Completely jealous – I watch her show! So, you could just drive up here to watch it. I was even thinking about driving to her hometown so I could stalk her. I love the way she cooks and her sunny outlook! SO, I kept thinking about this all day yesterday. DO you know her and how do you know her if you do? I'm DVRing it, because we don't have cable, we have Direct TV…so you could come up anytime and you, Paula, Christine and I could watch it!